Posted on Mar 31, 2015 by Appleton Downtown Inc. The 2015 Rising Star Award: Presented to a business new to downtown in the last two years that shows longevity and fulfills a unique need in the downtown. This new business opened its doors September of 2014 with the goal of providing each person the opportunity to be an artist – at least for two or three hours. Not only did they open the first franchise in the state of Wisconsin but they continue to sell out each and every public class they offer! The number of nominations they received tells me that many of you have also enjoyed the magic of the paint and sip experience. The ADI staff sure has! (show off our favorite paintings) If you haven’t tried your hand at guided painting – have no fear – they serve wine! Which helps make everyone an artist! The buildings transformation brought new life to an old iconic building and another hands-on artistic attraction that continues to grow Downtown’s creative economy. 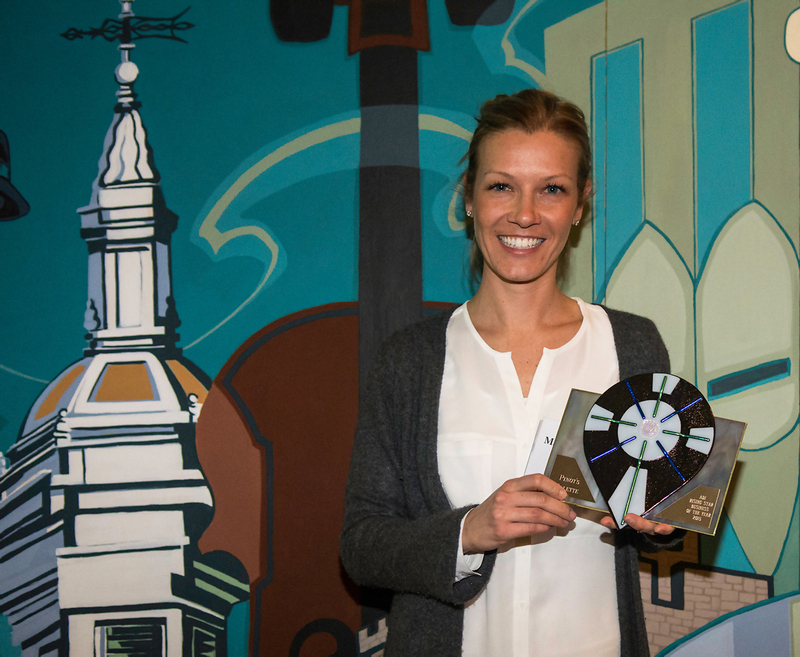 Please join me in congratulating local owner Mari Kessenich for bringing the addition of Pinot’s Palette to Downtown and being awarded with the 2015 Rising Star Award!